The FSB TORQUE ranges in capacity from 17lbF.in (2Nm) with a resolution of 0.01lbF.in (0.001Nm) to 100lbF.in (10Nm) with a resolution of 0.1lbF.in (0.01Nm). 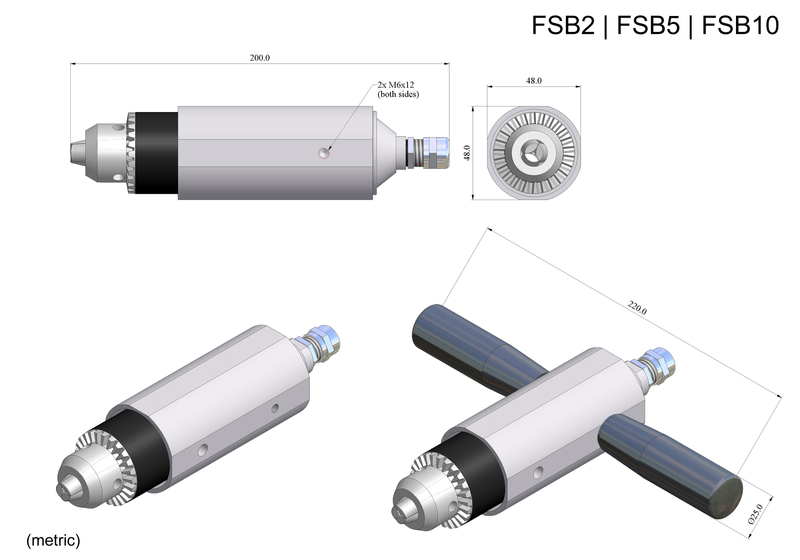 The FSB samples at a rate of 1000Hz and guarantees optimum precision and accuracy at all times. Measurements are automatically saved to the removable microSD memory card or can be easily sent via USB to a laptop or a PC. Powerful nickel–metal hydride batteries keep the gauge charged up to 16 hours. Standard, Peak, Multi-Peak, and Fill-Meter functions guarantee optimum functionality and flexibility when taking measurements. Every function includes statistical analysis, onscreen graphs, and a histogram. Analog I/O ports allows for threshold signaling and control of external peripherals. InnoCal NIST traceable calibration certificate with five tension and compression data points. Calibration certificate is available on all FB and FC models up to 1,000 lbF. 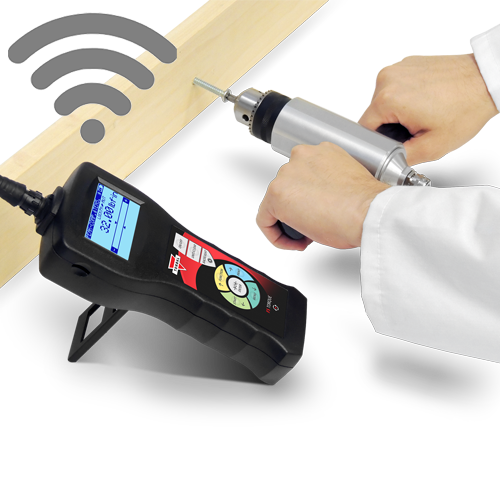 The FSB torque gauge is equipped with a built-in short distance wireless data transmitter which allows for a cable-free connection to your Windows PC, Laptop, or Tablet. 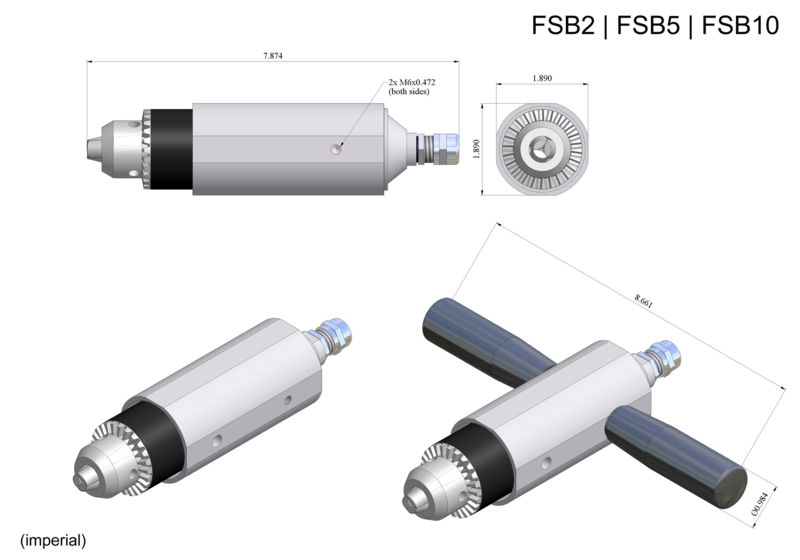 Every FSB torque gauge is supplied with a USB dongle WPAN receiver which makes the connection setup quick and easy. The wireless module is also compatible with most WPAN devices found in Laptops and Tablets. Every Torbal torque gauge is equipped with a MicroSD expansion slot which increases available memory via the insertion of a MicroSD card. All data results and measurements are saved directly to the SD card in a “.txt” format. Stored data can be seamlessly transferred to your PC by simply removing the SD card from the force gauge, and inserting it to your Desktop or Laptop. 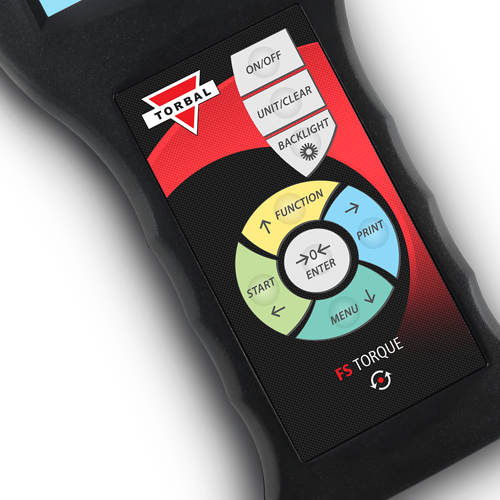 The torque gauge can be easily connected to a computer via the USB port, which is standard on all Torbal force and torque gauges. Data can be transferred directly to the PC, and measurements can be recorded and analyzed in real time with the TORBAL FM software. 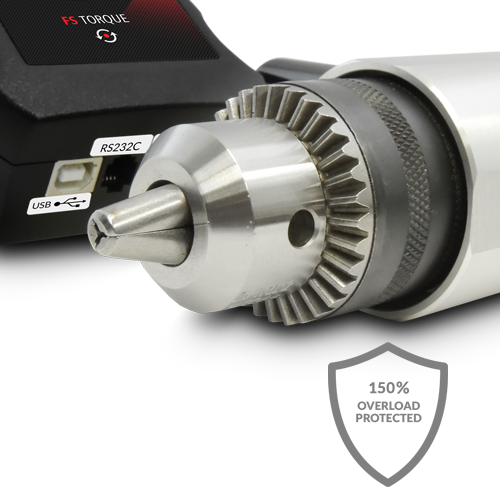 Each application mode of the torque gauge includes a statistical analysis of recorded samples and force peaks. Statistics include total number of samples, max, min, average, standard deviation and more. Calculations can be analyzed on the torque gauge and saved to a MicroSD card, or transferred to a computer for further interpretation. Rugged die cast metal housing makes it ideal for use in demanding environments. The housing provides a stable platform and protects the torque gauge. Robust design guarantees durability and long operating life. Torbal FSA torque gauges ate overload protected up to 150% at full scale. 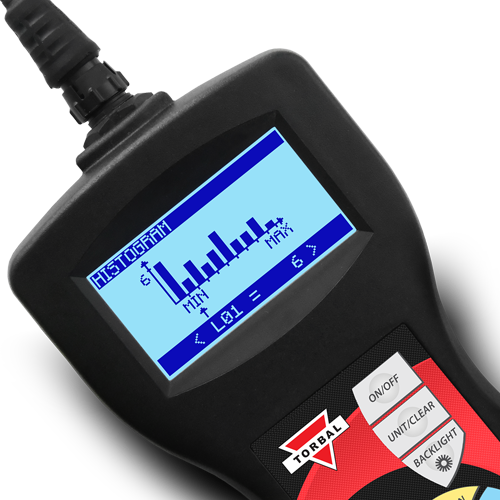 Every torque gauge includes a used capacity indicator which shows the amount of the capacity used during force measurements. 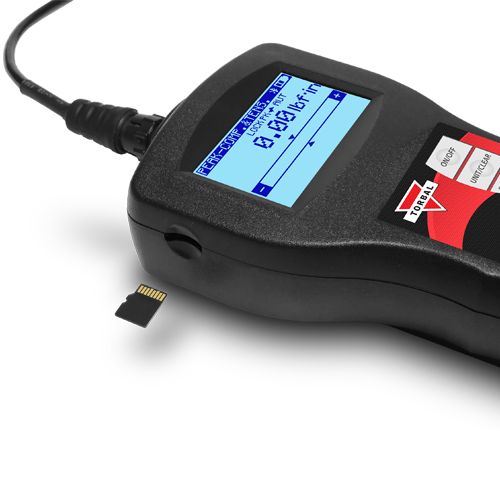 It allows the user to avoid exceeding the maximum capacity of the torque gauge. The indicator is particularly useful in when maxing out the gauge capacity with heavy loads. Main keys and buttons of the torque gauge are logically arranged and can be easily operated. Adequate number of keys create a more intuitive keypad, and guarantee a long operating life of the unit. Peaks and samples are displayed on an X, Y graph or as a histogram. The graph displays recorded peaks and can be scrolled to view recorded measurements during the test. The histogram shows the number of samples taken at different intervals of torque measurements. The threshold output mode enables the analog output port by sending voltage level signals which can be used for signaling or controlling external peripherals that can connect with the force gauge. 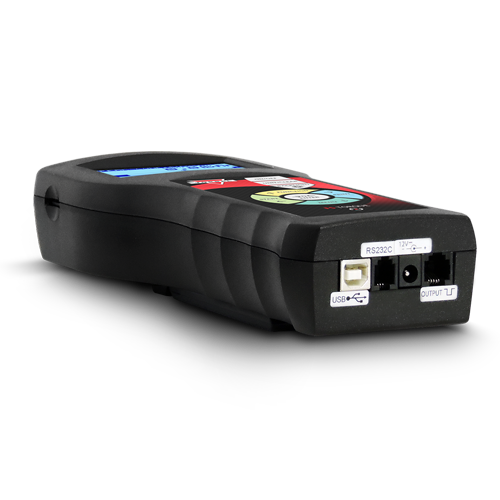 The output mode can be used in combination with Programmable Pass / Fail Thresholds Monitoring. Input mode allows an external button or a pedal to be used as a trigger for starting force measurements and taking samples. OUTPUT Ampacity: I max=25mA / U nom=24V (open collector type, emitters connected– GND) | INPUT Voltage Range IN (+) / IN (-): U in = 12-18V / I in max=50Ma. The data manager feature allows to quickly review and retrieve saved measurements. The feature organizes data into individual function folders with unique “.txt” file names. File names can be assigned with a unique alphanumeric name or identifier, which are organized chronologically. Every gauge is equipped with an auto-save feature which automatically saves results and statistical analysis of the measurements to the MicroSD memory card. When enabled, the gauge will save results at the end of each measurement. Each result set is assigned with a unique file name. The gauge can be set to measure force at a desired speed. A slower rate increases the sampling time. A faster measuring speed allows the gauge to sample more frequently and capture more results in shorter period of time, which increases the testing precision and accuracy. The gauge can send results directly to a printer as well as third party software such as MS Excel or notepad. 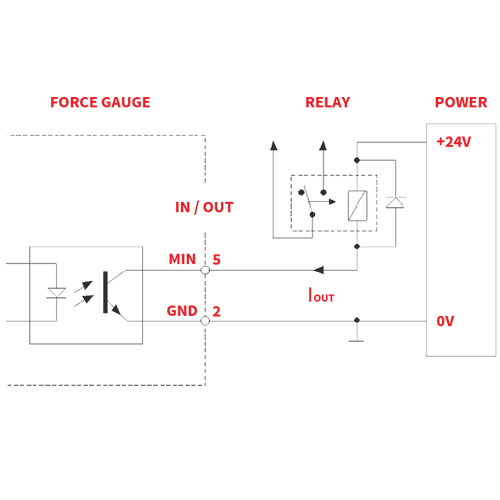 The printed information can be configured to include the date, time, measurement name, user ID, signature line, and a series of customized notes. The TORBAL FM software application further enhances, and expands the functionality of our gauges. The software captures and displays data measurement in real time. Results are plotted on an X, Y axis graph for a fast and easy analysis. Data can be captured directly into specified files or exported to your default spreadsheet software such as MS Excel. In addition, the software performs statistical calculations, allows to set sampling time intervals, and much more. Torbal gauges are equipped with a graphical LCD display which allows results to be clearly visible from a distance and in low light environments. The backlight can be configured with 4 different ON / OFF settings to fit the user’s preference based on gauge usability. All Torbal gauges have sealed front panels to protect the keys and display from accidental spills and dust. The front panel membrane is made from the highest quality polycarbonate material. The peak mode automatically detects the maximum force measured during a test. The feature pinpoints the exact force applied to an object before it gives or breaks under pressure. The application can be configured to detect force automatically or manually. The gauge automatically records a detected peak, stores it in memory, and zeros the force gauge for the next measurement. The Peak Mode is equipped with Trigger and Peak Sensitivity Detection settings that allow for greater control while taking measurements. The application provides statistical analysis of detected peaks, as well as an onscreen chart and histogram of taken measurements. The Multi-Peak mode records multiple peaks detected during a user specified time frame. The feature detects unlimited number of peak in a measured sequence. Setting such as Time Delay, Trigger, and Peak Sensitivity Detection enhance the functionally of the application by providing added control and flexibility in peak measurement detection. The Multi-Peak mode is particularly useful when measuring force of objects that do not instantly give or break under pressure, such as fabrics, soft plastics, or flexible materials. All Torbal® gauges are equipped with a filling meter indicator which can be activated in combination with any mode of the force gauge. 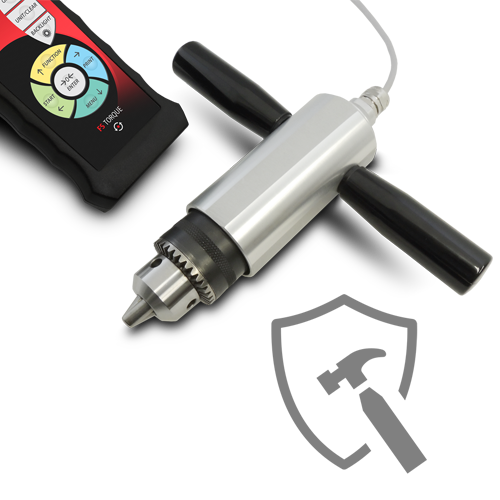 The fill meter is a digital non-liner pie meter which has greatly increased sensitivity at the set capacity cutoff point. The feature allows to set a custom cut off point that is suitable to the application. This unique feature helps to avoid exceeding the maximum capacity of the gauge and assists in taking precise force measurements. 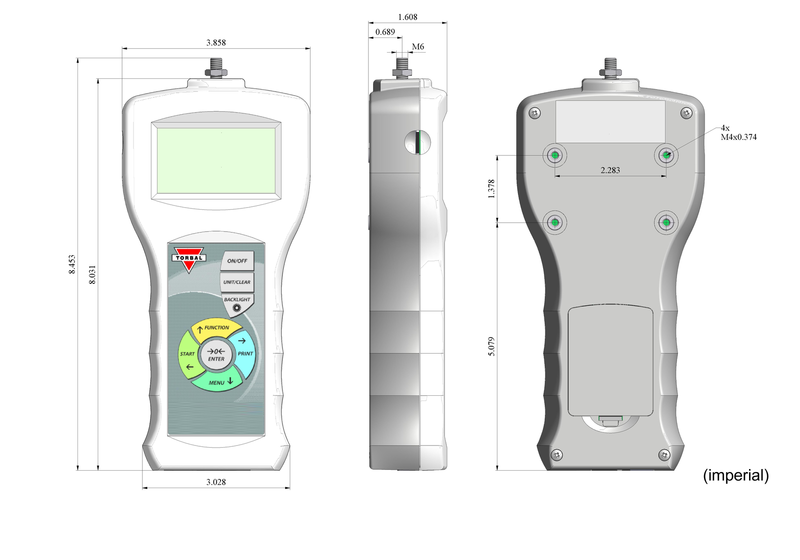 The standard mode offers utmost flexibility when using the force or torque gauge manually, in a test stand, or while connected to a PC. Force measurements can be captured manually with a press of the start button, or automatically over a specified time frame. The mode is equipped with Time Delay, Trigger, and Threshold features. Programmable threshold limits are available in all force and tirque gauge modes. The feature allows to set minimum, maximum, and target values that are monitored by the gauge. When the threshold parameter is exceeded, MIN, MAX, and OK indicators appear on the display. Each indicator can be set to sound a single or a continuous alarm. Threshold values are also used to determine if the force applied during tests can produce consistent results that stay within the set parameters. Peak and Multi-Peak modes are equipped with a sensitivity detection feature which allows to disregard unwanted peak measurements that may be caused by shakes or vibration. The peak sensitivity detection feature allows peak detection modes to be fine-tuned for a specific application. Two heavy duty external load-cell sensor handles for handheld usability. Operating Temperature 32°F to 104°F | 0 to 40°C | Humidity: Up to 80 % Max.